You’ve done your initial research, and you know for sure you want to have a green burial. But now you’re wondering if it’s possible for your wishes to be carried out because not every cemetery offers those services and accommodates natural gravesites. 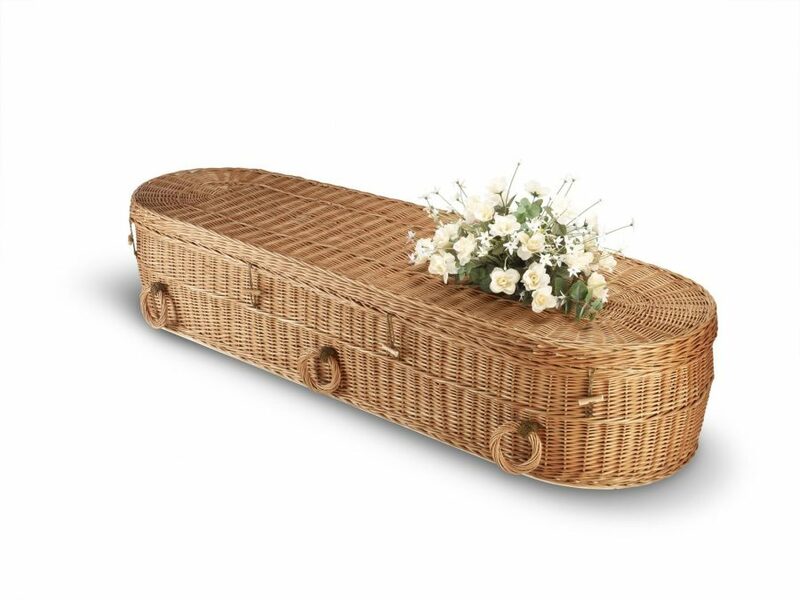 A hybrid is a traditional cemetery that offers a green burial section, where a vault or conventional casket is not required, and instead allows for environmentally friendly burial containers or shrouds. Hybrids may also allow toxic-free embalming. A natural burial ground expands the concept of green burial outside traditional cemeteries and into natural settings, such as woodlands or a meadow. Natural burial grounds explicitly prohibit the use of vaults, concrete, metal, or any burial containers not made from natural/plant-derived materials. Embalming is also banned. As for maintaining the land itself, a truly green burial site uses no artificial pesticides. A conservation burial ground meets all the requirements of being a natural cemetery and also is a nature preserve. A specific portion of the land is used for burials, while the rest is designated for conservation. Funds received from green burials goes to preserve the land. The concept of green burial in Vermont is gaining more ground, so to speak, thanks in part to a law passed in 2017 that relaxed the regulations on how deep a grave must be. Digging graves shallower than the previously required five feet allows for the natural decomposition essential for a burial to be considered green. Most green cemeteries require that grave markers are made of local natural materials like local stone or wood. That means you wouldn’t be allowed to use engraved polished marble or granite monuments that are so common in traditional cemeteries. While it could be argued that marble and granite are natural materials, the intent of prohibiting them over a green grave is to leave the site’s landscape relatively undisturbed. The natural element used to mark the grave may include rocks or engraved stones, trees, shrubs or flowering plants. If you would rather work with a particular cemetery for your burial service that isn’t specifically “green,” either because an existing cemetery already is the resting place of family members or it’s close to home, there are some ways to make the traditional process more eco-friendly, with the help of your funeral home. You can still choose not to have the body embalmed, or you may request the funeral home use a nontoxic embalming agent. Use the biodegradable burial container of your choice and avoid any casket that was built with toxic construction materials. If you’d rather not use a casket at all, ask for the body to be wrapped in a shroud. You can also request that the cemetery not use a concrete liner to house the casket. A concrete vault is typically used to level the surface area above the casket for convenient lawn maintenance. If the cemetery agrees to not use one, you can offer to compensate your cemetery for any labor necessary for gravesite maintenance associated with the lack of a vault. Alternatively, if the cemetery won’t concede the use of a vault, ask for a concrete grave box with an open bottom, or have holes drilled in the bottom of the vault, or invert the vault without its cover, so the body can eventually return to the earth. If the impact on the environment is important to you and the deceased, choose the minimum size gravemarker allowed by the cemetery. Try to find a local monument builder who uses indigenous rather than imported stone. That will reduce the carbon footprint of production and transportation. We have a lot more information to share on the topic of green burials. 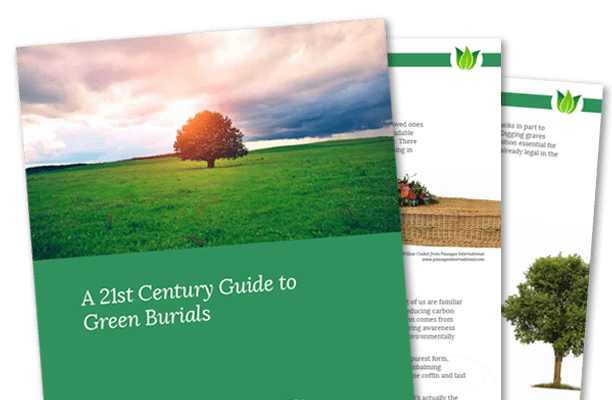 If you’d like to learn more, we encourage you to download our free e-book, A 21st Century Guide to Green Burials.